Indo western dress with gown and soft net dupatta & elegant accessories. 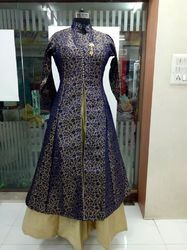 ready made indo western dress. with ready made gown and dupatta.